This is a great set that holds 3 saddles and will fit just about anywhere. Easy to move and can be added on to in the future for very little cost. Showcase your saddles not the stands they sit on! 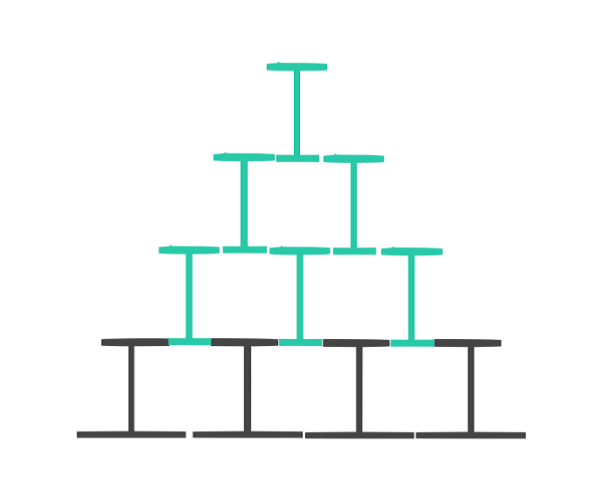 This is a popular set that holds 6 saddles. It fits under an 8' ceiling and takes up very little floor space (much less than 6 single displays!) and makes a great impression. *Personal favorite! This set holds 9 saddles and fits under an 8' ceiling height! floor space needed is only 10' x 3'! This set is a great fit in any application and when full it looks very impressive. 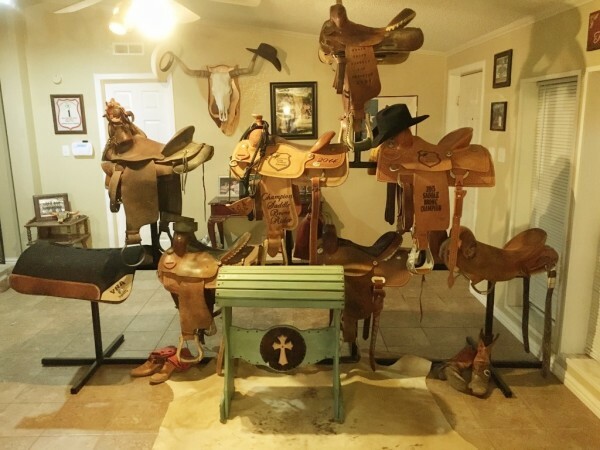 As with all of our sets, the rack is barely visible (if at all) once full of saddles so this selection creates a "wall" of your saddles that will be the showcase of any room! Easy to relocate and fits in almost any room! *WILL NOT FIT UNDER 8' CEILING Please verify the height of your space before hand. This set fits in a 10' x 3' floor space and allows you to display 10 saddles. This set up holds 12 saddles and fits with an 8 ft ceiling height. The set contains 5 base sections and 7 top sections and it all fits within a 14' x 3' floor space! 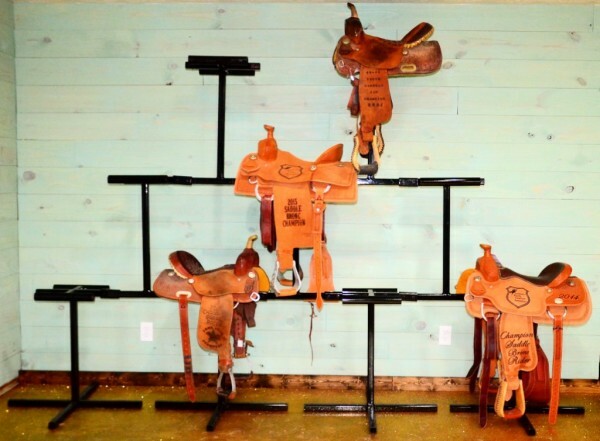 With this set you will have, quite literally, a wall of saddles. Very impressive looking without any construction! Custom to your need! have an odd space or number of saddles? no problem. Contact today and we will discuss your custom order.